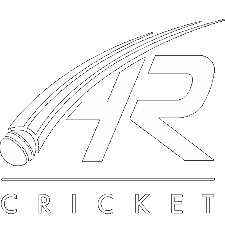 All Rounder Cricket was founded by ex Yorkshire CCC & Derbyshire CCC First-class cricketer Chris Taylor, and has grown to become one of the largest cricket retailers in the world. They approached The SEO Works to increase their online transactions, transaction revenue and Return on ad spend. Their main focus was centred around improving the performance of their shopping campaigns, increasing online conversions and ROAS (return on ad spend). We did this by re-structuring Ad groups and subdivisions, and applying corrected bid adjustments across all product categories and high performing item ID’s. This allowed monthly budget to be used more effectively, increasing conversions. High performing products and categories were then turned into search campaigns to boost conversions and revenue for higher value products. Adding RLSA and Remarketing engagement audiences to reach highly engaged visitors that did not purchase. A huge increase in online transactions has turbocharged their transaction revenue by 278%, and increased their return on ad spend to 15:1. This has been achieved whilst decreasing their monthly budget spend on clicks.